Home to one of the largest privately-owned diving and fishing fleets on the West Coast. Take a 1/2-day, 3/4-day, full-day, or multi-day trip on a sportfishing, scuba diving / snorkeling or charter boat. The boats have full-service galleys serving food and beverages. Several shops offer rental equipment, licenses, tackle and instruction. Whale watching boats make regular tours during the season. 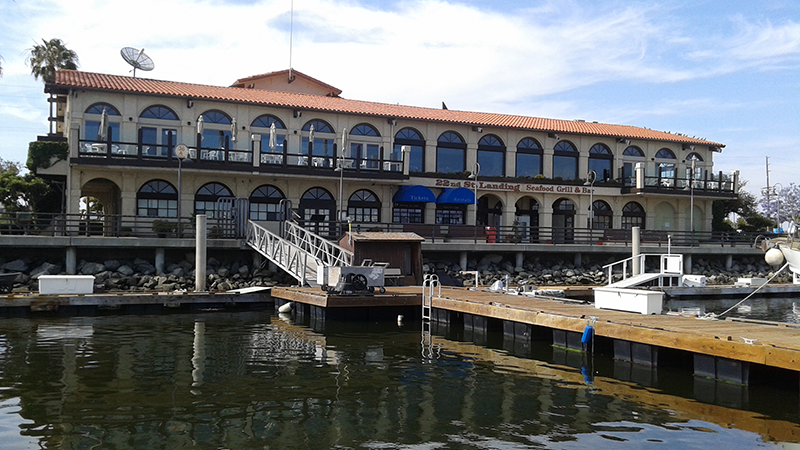 There is fine dining overlooking the harbor from above the landing, the 22nd Street Landing Seafood Grill & Bar. The 22nd Street Landing area is the home of the largest privately owned diving and fishing fleets on the West Coast. Be sure not to miss the great sportfishing, dive and whale watching boats that depart from here on a regular basis during the season.